Last week, Google showcased its Assistant’s features such as the Google Lens computer vision. It was first unveiled at the Google I/O 2017 this year. And today, some users stumbled upon active Google Lens feature on the latest version of Google Photos. According to a report by XDA Developers who created an APK teardown of the latest version of Google Photos on Android, found out fully functional Google Lens functionality on it. For those who don’t know, Google Lens can identify texts, landmarks, objects by using phone’s camera app. It is a nifty feature that users can use instead of typing in a search query for tangible items. At a Developer Days event in Poland last week, Google announced the new feature. 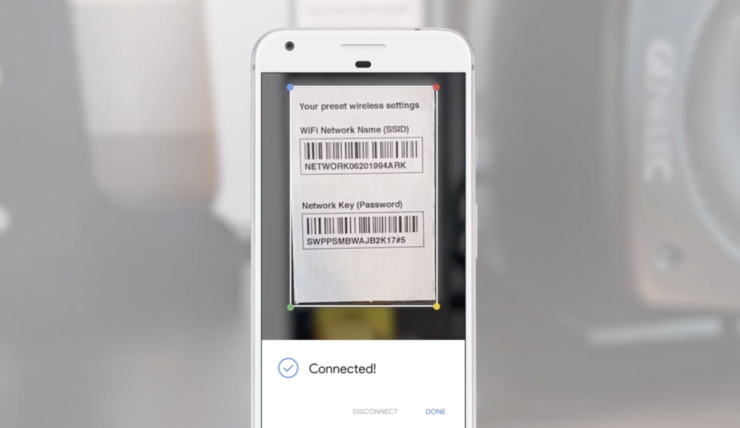 Not just identify, Google Lens will also translate languages and also provide additional details about a place or event you point your camera at, even currency notes to convert it into a different currency. XDA found it integrated into the latest version of Google Photos, which is currently rolling out to Android users. Although some were able to try it for some time, later Google just turned it off making it no more available for trial anymore. Sigh. It was fun while it lasted as we can make out from the screenshots. Users who tried it and XDA came to a conclusion that Google Lens is still not in its perfect state as it was not able to identify some objects including Google Home smart speaker. However, for the objects it did work for, it offered perfect information. Folks at Android Police also tried their hands on Google Lens during its short availability. During their test, Google Lens was able to identify three out of four objects. The only object it failed to identify was a blu-ray disc. It could be because of the wrong positioning of the camera though. They also tested written text, and Google Lens was able to identify the text nicely except for the timing. It listed 1.30PM timing as 10:30 AM. Besides, it was also able to identify landmarks such as Disney World that it identified through the old photos. But it was unable to name the Space Mountain that was in the background of the photos. Google Lens is arguably one of the most innovative features that we have come across in a while. It clearly needs some more brushing up before being rolled out to users. Going by the tests conducted by some users, we are looking forward to trying it out!